Choosing to go down the dreadlock journey is an important decision. It takes time and effort to dread hair and by making this choice, you need to know what you’re getting into. While there are tons of articles with information about what you can do with your dreads and how to take care of them, what about preparation for dreads before you start? Dreads take a certain kind of care and that care needs to start immediately. 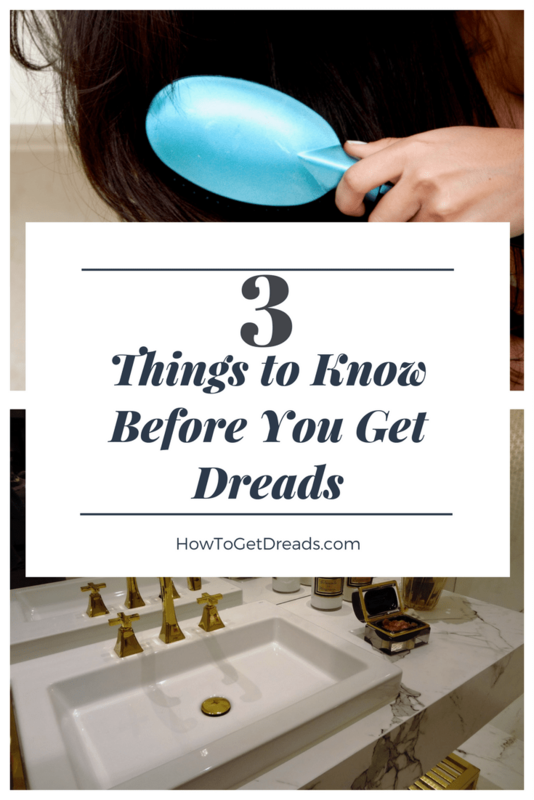 When you are thinking about getting dreads, be sure to prepare yourself for the reality of what is going to come as soon as you start knotting. At the start, dreads are a mess. Your hair will be a mess, you will find pieces falling out everywhere and all the time and learning the proper amount of the hair care products will be a stiff learning curve. They will look highly disheveled because they are new and the frizz will be in full force. When you dread your hair, you are starting a process that will train your hair to grow and form a certain way which can often be a bit tough to do. Your hair will slowly start to form and smooth out with time, but plan for the mess at the start. Well, not a literal renovation, of course, but you will need to make some changes. Dreads require a bit of a different cleaning and maintenance routine and you will need some new tools and products from the start. Dreads will only take a few simple tools but you want to make sure you have everything you will need from the start. A few items you will definitely need are things like a great clarifying shampoo, a conditioner, a knotting brush or comb to keep dreads tight, and potentially some sort of satin cloth or band to wear when you sleep. Keeping these tools handy and making sure they are in your routine from the start is going to set your dread journey the right way. One thing that new dreadlock lovers forget is the time this whole thing will take. Not only the process of actually getting dreads takes time, but so will routines and maintenance from there. You will need to make sure that you have time planned to take full care of your dreads. One of the parts of this dread journey is waiting time for your dreads to dry. You won’t wash as often as you might without dreads, but taking the time to let your dreads dry fully is going to be an important part. Those who are new to dreads don’t realize the time it takes to dry your dreads fully because this can cause a plethora of problems when they don’t dry completely. Likewise, the time it will take for your dreads to fully form and become the shape or style you want will also take time. Patience is going to be a huge part of the entire process and that’s just one of the important things to reconcile before you start your dread journey. Making plans and doing your research before you start your path toward dreadlocks will leave you informed and excited about what’s to come. Being prepared is going to make your dread journey an even more positive experience. Understanding the mess, the needs, and the time that dreads will need to properly grow and flow is going to be the key to a successful head of dreads.